FC 1/c J.B. Anderson son of Mr. and Mrs. Bige Anderson, attended Laing High School. 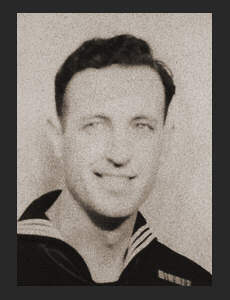 Entered Navy in April 1942, trained in San Diego, Cal. ; served in Bermuda, Africa, Newfoundland, Panama, Hawaii, the Philippines and New Caledonia. He was wounded in action on Formosa in Jan. 1945.